We are lucky to live in the heart of Mountain Bike country, with great natural tracks and bridleways. Both walking and mountain biking Trails around the farm link with Glyndwr's Way and the Dyfi Forest. We have short, medium and long routes and a Family route around local backroads and Forest Tracks. As well as these natural bridleways and singletracks, we have created two descents of our own, which bring a little of the 'trail centre' flowing descents, linking up the various tracks. Every year Machynlleth hosts the Howies Dyfi Enduro – this legendary event sells out quicker than any other and makes use of miles and miles of fantastic routes around the Dyfi Forest which include classics such as the World Cup Descent, The Elephant, Builth, Dickos etc. There are also route-marked trails to the south of Machynlleth, and the more demanding ClimachX trail to the north around Corris and Ceinws, which ends with Section 8 - one of the longest downhill trails in Wales. If exploring the area on a road bike is more your thing, there are plenty of local loops on good surfaces with spectacular views. You'll be quietly surprised by the minimal traffic too. Click the links below to download PDF route guides. 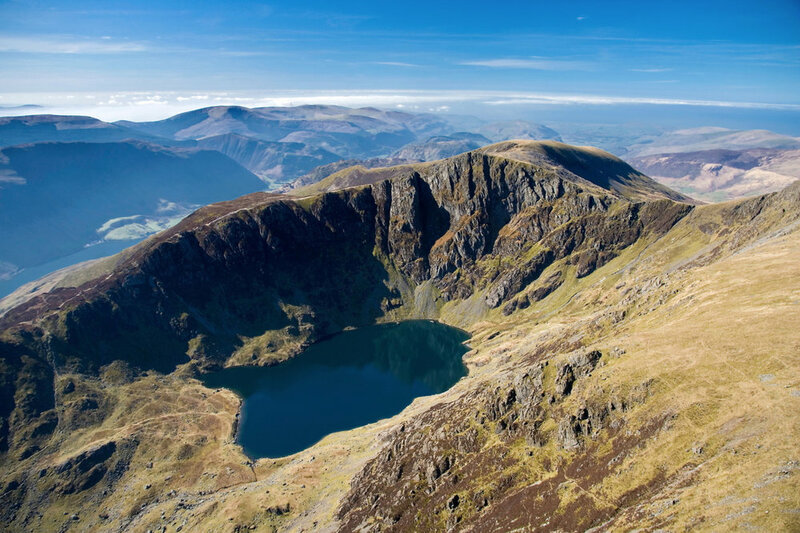 This area of Mid Wales and South Snowdonia offers a huge variety of walking terrain, from mountain peaks down to coastal paths, and everything in between. One thing you can be guaranteed of, even in high season, is having the place pretty much to yourself – if peace and quiet as well as spectacular views are what you're looking for. To the East of us inland is Pumlumon - some of the remotest, wildest and highest land in the Cambrian Mountain range. To the West only a few miles is the beautiful coastline of Cardigan Bay with wide open sandy beaches and dunes at Ynyslas where you can see the whole bay, from Pembrokeshire up to the Llyn Peninsula on a clear day. Further up the coast across the Dyfi estuary is the charming village of Aberdyfi with its colourful painted cottages and harbour. The Wales Coast Path can guide you around to explore the miles of dramatic coastline views on offer. To the north is the epic Snowdonia National Park, with the peaks and wilderness of Cadair Idris and the Dyfi Forest within easy reach of us. There are too many great many woodland and waterfall routes around to list here, but you'll find a few choice ideas below. 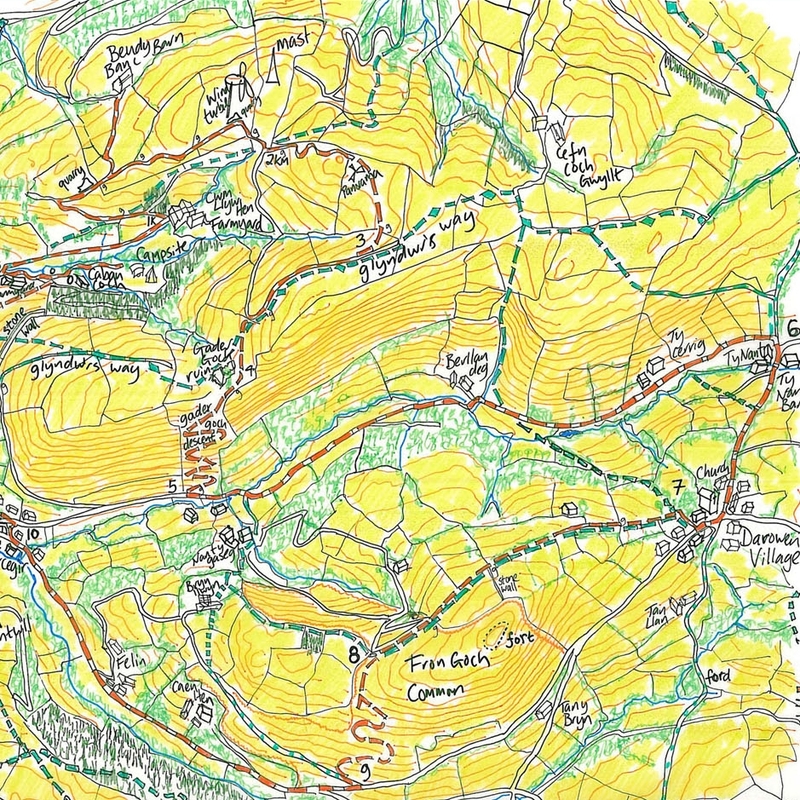 If you want to find your own way, you'll find OS maps OL23 and 215 cover the area around us. With all the stunning scenery and exploring, you'll also be needing some relaxation time too. Machynlleth (Mach for short) is just 5 miles away, a Welsh market town that is very much the hub for the area. With a regular thriving wednesday market bringing local traders and plenty of people too. The town offers great pubs, independent shops, cafés and all the essentials you'll need. There is a Co-op supermarket and petrol station for refuelling supplies too. Ask us what you'd like to do when you get here and we'll happily point you in the right direction.